To promote and support the mutual business interests of its members through unified advocacy leading to sustainable economic growth and an attractive, accessible and safe business environment in the Stemmons Corridor. The Stemmons Corridor Business Association (SCBA) serves as a focused and organized voice for the Stemmons business community. 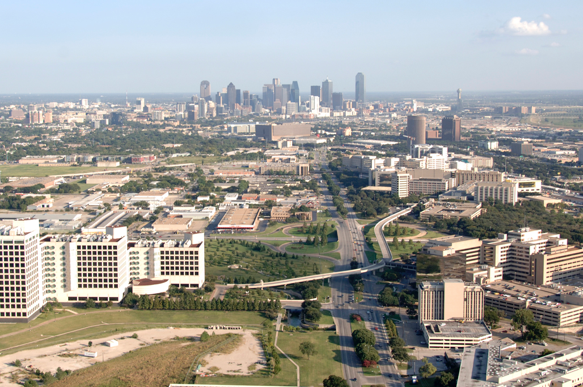 Centrally located between Dallas Love Field and Dallas/Fort Worth International Airport, it is the lifeline connection between the Central Business District, Las Colinas and North Dallas. The Stemmons Corridor Business Association is a non-profit member based organization with the mission to promote and support the mutual business interests of its members through unified advocacy leading to sustainable economic growth and an attractive, accessible and safe business environment in the Stemmons Corridor. The Stemmons business community includes more than 5,000 businesses employing nearly 170,000 people, contributing 20% of Dallas' tax base. The Corridor has the largest volume of employment base than any other area of the city. For over 36 years, the SCBA has been the voice for the Stemmons Corridor, effectively addressing key economic, infrastructure and safety issues impacting all businesses.